Being #1 in Mesa, gets you better windows at a lower price! Rated #1 Mesa Glass Company - For a Reason! Our team of outstanding window specialists are proud to supply homeowners with the most reliable and honest window repair, window installations and window replacements in Mesa AZ. As one of the top rated glass companies, we offer both residential and commercial windows and glass services, with options that include single and dual pane replacement windows Mesa that can't be beat by our competitors. We proudly offer residents with the best selection in glass shower doors Mesa AZ. Our team obtains a variety of options including framing, semi-framing, and frame-less shower doors. We provide a 1-year warranty on all shower door glass, to ensure you that you are receiving the most honest and dependable shower door installations. If you are a homeowner looking for ways to save on your electricity bill, we have the perfect solutions for you with our window screens in Mesa AZ . Our windows mesa screens and glass are custom made frames to meet your prefered color and material. 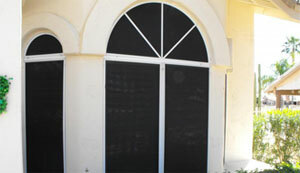 These screens are installed to block up to 90% of sun-rays from entering your home. With the variety of benefits for your house screens, allow our team to provide your home with the best. We are proud to invite residents of Mesa and neighboring cities to take advantage of our outstanding services. When you are looking to install your very own shower enclosure, glass shower door, window repair and broken glass replacements. With our years of experience in the industry we are proud to supply residents with the most exceptional options for their window service needs. Our leading team of professionals is proud to offer residents with the most outstanding results for your window repair, replacement windows, and frame-less glass. As your leading provider of window treatments and custom window replacement Mesa AZ services, we offer warranties on our window and glass installation services. Rest assured that when you choose our experts at Holtzman Mesa Glass & Window you will never be disappointed. Each of our outstanding technicians is certified and insured to provide you with the most outstanding options for home window repair Mesa AZ and glass replacement Arizona. Speak with us today at (480) 269-0939 and learn more about our top quality shower installations. One of our friendly associates will be glad to assist you in your time of need. If you are seeking to replace windows or purchase new windows for a new construction home or office, check out the latest benefits of ENERGY STAR Qualified Windows, Doors, and Skylights. With Holtzman Glass, we bring you the latest in products and savings. Our local glass company is proud to offer residents of Mesa, Arizona with the most outstanding options in glass and window repairs. We proudly offer each of our clients with glass installations, repairs, replacements. Rest assured that when you are looking for single or dual pane windows and mechanical repairs we are the team for you. 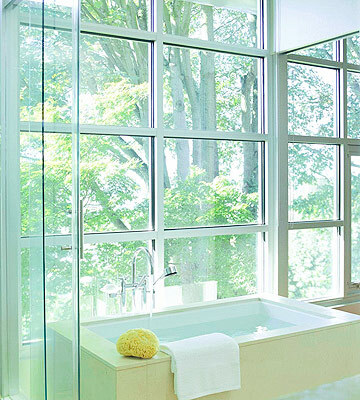 Are you a homeowner who is looking to install your very one glass shower door? We proudly offer residents with the most outstanding results on shower door installations to exceed your expectations. We are also proud to offer residential and commercial window installations. 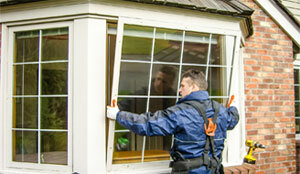 Our team of professionals is proud to supply you with the best results on your window needs. If you are looking for a team of professionals to supply you with single or double pane windows, we are the team for you. We can custom cut each piece of glass to meet your specific inquiries. Additionally, when you choose Holtzman Mesa Glass & Window we will provide you with a free estimate for our work. Speak with us today at (480) 269-0939 and learn more about our outstanding services at Holtzman Mesa Glass & Window. Proudly supporting local businesses in Mesa and surrounding areas. If you new or visiting our beautiful East Valley city, see a Mesa travel guide to enjoy everything it has to offer. For Valley residents outside Mesa, Holtzman Glass services surrounding areas for those seeking replacement windows Chandler AZ, replacement windows Gilbert AZ, and replacement windows Tempe AZ. Looking for windshield replacement services, check out our preferred auto glass shop in Mesa. Dealer Auto Glass in Mesa is our go to company, Dealer Auto Glass is Arizona's largest family owned auto glass company.